Evoker is the next generation of elite level physiotherapy service provision in Sydney. ‘A clinic like no other’. 5 ELITE physiotherapists trained in teaching Pilates informed exercises. Follow us for the latest offers, news and benefits. Ive seen Caitlin now twice. Both times she has been amazing and has really helped with my problem areas. I’m so glad to have reached out to her and happy to know that she cares and wants to fix me! Great personal service and care nI’ve started a weekly program and looking forward to each session nIf not your sure who to see I highly recommend Tim McGowan! Matt and the team at Evoker have been absolutely incredible. I came in after tearing my ACL and was provided with practical and achievable advice on my pre-hab and rehab for post op. I noticed a significant improvement after each visit and completing the given exercises. Will continue to recommend Evoker. Excellent personalised treatment. My recovery plan was explained to me clearly and concisely and I can already feel an improvement after 1 week. Physio's don't get better then this. Sean and the team at Evoker are brilliant at what they do. I have been to a few physios and now with Evoker i am seeing fast results. The sessions at the clinic and the exercise, general advice at home and work all have play a big role in my recovery. Thank you all! Thank you to the Evoker team for the genuine & professional care provided to me when treating a disc issue in my lower back. The team had great knowledge & experience & the issue has improved significantly. Thanks again. Adam and the Evoker team offer an excellent service and show commitment to helping you recover. They are very professional, friendly and great central locations. I have been visiting Adam and the team at Evoker for the last few weeks. They offer an excellent service and are committed to helping me recover from my ongoing back issue. The location is beautiful and I love that you can work with the physio and someone to help you build strength too. Adam and his team are amazing, they are thorough with diagnose, make sure you leave understanding what is going on with your body, and detailed recovery plan. They have always had me back to optimum health in no time with making sure I'm working on prevention aswell as cure. Highly recommend them! Adam and his team are the best in the business, after seeing lots of other physio in the past it is so refreshing seeing the team at evoker. They really take the time to explain/diagnose and go through a full recovery plan which helped me get back on my feet in no time. The experience is something you don't get anywhere else. I have finally found a great physio in the city. All the staff I encountered were incredibly friendly and helpful, and the facilities are great. Tim took the time to listen, diagnose and explain everything clearly, I felt he was genuinely invested in fixing the issue. I had an issue with my knee - its been ongoing for over a month and continually getting worse. I decided to look for the physio with the best reviews and fond Evoker. I ended up seeing Yvonne - she was a great listener and obviously knows her craft well - after manipulating and testing various things she came to a diagnosis, applied treatment and gave me a plan of action - my knee feels much better, and more importantly i now have piece of mind after having everything thoroughly explained by a professional. I highly recommend this practice. I’ve had chronic neck pain / issues for many years and have seen my fair share of Physios and Chiros. Yvonne from Evoker is one of the best Physios I’ve come across. Her treatments significantly help my symptoms and I feel she is genuinely invested in a finding a better outcome for me. I highly recommend Yvonne at Evoker. I usually visit Kent St, but have also visited the Martin Place branch. I’ve had chronic neck pain / issues for many years and have seen my fair share of Physios and Chiros. Yvonne from Evoker is one of the best Physios I’ve come across. Her treatments significantly help my symptoms and I feel she is genuinely invested in a finding a better outcome for me. I highly recommend Yvonne at Evoker. Sean completed a workplace ergonomic assessment for our office and the feedback was extremely positive plus there was greater use of the sit to stand desks. nA few months ago an old stubborn neck/shoulder injury returned and I asked my friend who was that great physio you swear by and her reply was Adam at Evoker. nBefore seeing Adam I had pins and needles in my hand almost constantly which was stopping me from exercising, not to mention making work and study difficult. Adam was amazing in not only being able to diagnose and treat the shoulder/neck problem and he also referred me onto Yvonne for a strength program. nI have been to many physio's and the treatment and service provided by Evoker is outstanding and I wouldn't go anywhere else. Excellent! I have been going to Adam and his team at EVOKER now for more than 5 years. Everytime I have a problem, I know that I will be back at my best within a month. I truly recommend this place. Great practice. My physio was very knowledgeable, engaging and genuinely interested in my recovery. Results to date have been very positive. Evoker has been awesome with assisting me in rehabbing my knee after an ACL reconstruction. My physio, Matt Meoli, is a very friendly and approachable bloke and his professional guidance and care throughout my rehab has been amazing. My appointments have been in the mornings and it’s always been very quiet, with all the facilities available for use. The receptionist, Jasmine, is also very professional and good for a friendly chat. I would highly recommended to anyone! After a bad ACL tear last year, Adam and the team went above and beyond helping me preparepr for surgery, and subsequently in developing an effective recovery routine. I can’t speak highly enough of the professionalism and support provided by everyone involved. Thanks again to Adam and his staff for helping me with my back problem and allowing me to catch my flight home with a lot less pain. You guys helped me out a lot and I really appreciate it. Excellent physio offering friendly & professional service who did a great job treating my left knee. Thanks to all the Evoker team. Great service, Tim helped me quickly recover from an injury with targeted management and an exercise programme, shared though an app. Recommended! Go see Sean, would recommend. Incredible, professional, friendly service. nI normally visit the Kent Street branch, but recently visited the Martin Place site, what a great space. nnAdam & Monique has fixed various sporting injuries that I've had over the years, their dedicated and attention to detail is second to none, which was crucial for my recovery. nnHighly recommend Evoker, I've told friends and colleagues about them and they haven't been disappointed. nnKeep up the good work guys! Incredible, professional, friendly service. nMy wife and myself have been using Evoker (Formerly Monteith's) Physio on and off for approx 8 years, I've had a couple of serious sporting injuries and without their care and rehabilitation, my recovery would have taken much longer. nnHighly recommend Evoker, I've told friends and colleagues about them and they haven't been disappointed. nnKeep up the good work guys! Amazing service and very knowledgeable staff. Sean W was great and helped me through my injury. The support and service didn't just stop when you left the practice. Sean checked in and designed a self management plan so that I could gain back my strength at home and in between sessions. Would recommend this practice to anyone in need of a Physio!! Tim was exceptional. Very thorough session with diagnosis and exercises to do at home. Awesome stuff. Super professional, very thorough session which covered everything i needed on the road to recovery. Thanks team! Matt and the team at Evoker are fantastic. Professional, incredibly knowledgeable and hands down the best physiotherapist I've ever been to. I will, and do, travel over an hour and a half specifically to be seen by the Matt and the rest of the Evoker team. Doing physio and Pilates sessions with Yvonne here is just so empowering. I feel stronger and more capable and confident about the limits of my body after just a few sessions. I've struggled with stiffness all over my body and weak knees and back for a while now and was afraid of pushing my body at all. But from the very first session, I feel like I'm in the right hands. Having an excellent experience with the lovely and professional Yvonne at Evoker. I came in with back pain and she listened to me carefully before starting treatment and she gave me lots of helpful advice and exercises for managing and recovering from my injury. I've never been kept waiting and the reception team are lovely and efficient too. Very happy, thank you! Adam has kept me moving and able to swim much more than I ever could have without him. I've found the Evoker team to be very professional and thorough.nnHighly recommended. 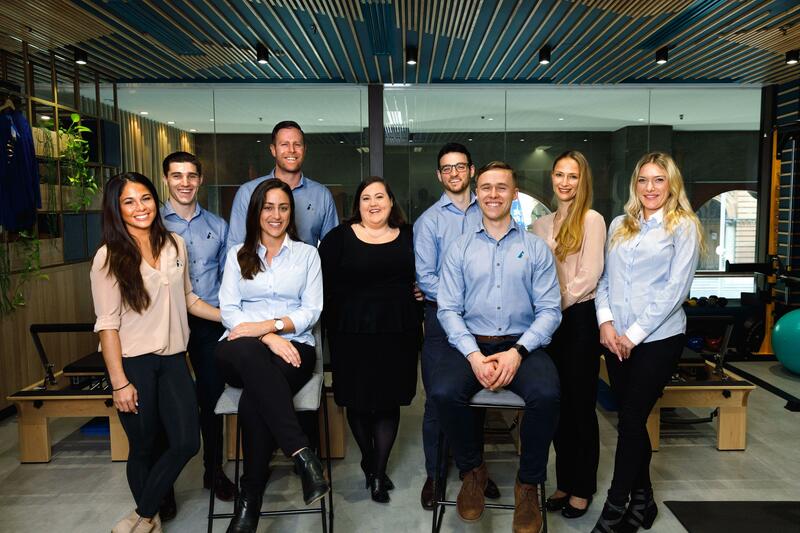 I have been an Evoker client at the Barangaroo practice for the past year now... Adam and his team are the best in the business! The staff are always professional and knowledgeable and the reformer Pilates classes are also excellent! Would definitely recommend to family and friends. I would rate my experience with Evokers - 5 stars.nBooking appointments with Evokers is very easy and you get timely reminder before the day of the appointments.nnMatt is a fantastic physio who took his time to explain whats happening with my neck issue, he has recommended exercises and posture corrections which has been helping me in reducing the pain.nHe is a complete professional , friendly and approachable.nThanks for your service Evokers & Matt . Adam and Matt have kept me moving and able to swim much more than I ever could have without them. I've found them both to be very professional and thorough.nnHighly recommended. Would absolutely recommend Adam and the team at Evoker. Adam has been instrumental in managing my lower back disc pain. I have noticed a huge improvement when going about my day-to-day activities which for me was my biggest concern going in. Definitely a positive experience. I have been going to Evoker for almost a year. I love the service I get especially from Matt (physio) but I also recommend the reformer pilates classes. Very friendly and professional team. Awesome team - knowledgeable, friendly, and welcoming. I have been trying to sort out some physical injuries for ages, and Adam and the Evoker team have done an incredible job at getting me back on track. Highly recommend! Great physio and support by the team. Been using them since my ACL surgery 2 years ago and they have always provided the best services. Highly recommended! i was referred to Evoker by 2 colleagues and would recommend it to anyone else that asks me in the future. great office space and professional fit out. Yvonne was very knowledgeable and reassuring, really felt looked after with her. Highly professional and friendly staff with good experience. Have helped me significantly! I have been going to Evoker physio for several years now and would not consider another practice in the CBD. nI initially went for neck pain and have had a meniscus tear treated as well. The treatments are comprehensive; they treat the issue but also recommend exercise, out of practice treatments, accessories (recommended a contoured pillow for my neck; expensive but effective) and other health care professionals where needed. nI love that they do hands on treatment. So many physios do not touch the problem area sending you away, still in pain, to do a few exercises at home. That is the number one reason I keep coming back. I have seen Adam, Matt and Julia and they were all excellent.nI also do pilates at the practice two times a week with Monique. This is a great way to prevent further issues and has made me so much stronger. Monique is an excellent pilates practitioner and I have come a long way with her. Fantastic small Pilates classes with a physio - have seen massive improvement. Highly recommend. Fantastic small Pilates classes with a physio - have seen massive improvement. Highly recommended. I have been to Evoker several times over the last 18 months for a range of issues and services. They have helped me with what i thought was a groin strain (Turned out to be hip adductor tendon), an acute neck spasm and most recently a bike fit and associated back pain.nnIn all cases i have found them to be exceptionally thorough and professional. The advice is excellent and the physio's are top notch, my go to physio in the city. Sean is a great physio. Came in with a shoulder issue, he took the time to diagnose/treat and explain everything and got us back into our training routine in no time. Highly recommended! Over the last 2 (and a bit) years I have had the absolute pleasure of working as a physiotherapist at Evoker. It was a bittersweet decision to return to university full time to study medicine this year, a longer term ambition of mine. nnThe Martin Place clinic truly is a beautifully fitted out space for physiotherapy. Forget curtains, cheap beds and multiple clients getting treated at the same time. Think boutique space, trendy cafe feel - an optimal, relaxing environment to complete rehabilitation in. From the Alter G treadmill to the Game Ready and in-house Pilates reformers I always felt that I could offer my clients the absolute gold standard of treatment, regardless of the injury. nnI have no hesitation returning to the practice to help manage my own (football related!) injuries as I believe that I would not receive a higher standard of physiotherapy from any other practice in Sydney. Over the last 2 (and a bit) years I have had the absolute pleasure of working as a physiotherapist at Evoker. It was a bittersweet decision to return to university full time to study medicine this year, a longer term ambition of mine. nnFrom day one, I really felt like I was part of something more than just a “physiotherapy clinic”. Through Adam and the team’s genuine warmth and passion for physiotherapy I felt like I was part of a family. I can honestly say that all of the physiotherapists and staff at Evoker provide absolute excellence in caring for any client who walks through the door. nnI have no hesitation returning to the practice to help manage my own (football related!) injuries as I believe that I would not receive a higher standard of physiotherapy from any other practice in Sydney. I’ve had great results working with Sean on my neck issues. An excellent experience and lovely people. The practice is very convenient for my work and my reatment has been very effective. Thank you Timothy and Evoker for going above and beyond with my injury. Back on the soccer field quicker than what I expected. I have been a client of Sean Wickens at Evoker for the past 3 months and could not be happier with the service provided. I suffered from sports related shoulder issues and Sean efficiently diagnosed the underlying problem and instigated a program to remediate. The exercises prescribed were both clear and effective and addressed my issues much faster than i anticipated. I also found the team at Evoker very flexible in working around my schedule, sometimes at short notice. Both Sean and the team at Evoker are very highly recommended. An absolutely first-class team and physio space. Highly recommended. nnI sought treatment for an injured hamstring and glute combination. I had an upcoming ski trip so needed to treat the injury, without losing fitness and in a short space of time.nnAdam was professional, matter of fact, knowledgeable and also set realistic goals and expectations for my treatment. I worked with both Adam and Matt during treatment and they were both great.nnThe program worked well and my hamstring and glute both came a long way with Adam and his team’s assistance.nnThanks Evoker! Evoker and particularly Yvonne have been an absolute God send. After trying a myriad of medicines, chiropractors and other Physios in treating my bulging discs and chronic sciatica, I was left with no relief and put on a short list for surgery. nnThis all changed thanks to Yvonne. nnRegular visits and a custom designed program have given me the first bit of comfort I've had in 6 months. This, along with her scarily positive attitude, deep well of knowledge and personal caring have in short changed my life. Can not recommend her and Evoker enough! Great physios who know what they are doing. Always my first choice for CBD physiotherapy. I was referred to Evoker by my GP for neck and shoulder pain. The location was easy and I have been really happy with the treatment with Sean. In particular the focus on not just short term pain but longer term strength and conditioning has been really beneficial. While I have elected to continue the next phase with them Sean was very open and helpful in offering alternatives and recommendations for classes and gyms rather than pushing to prolong my time with him. The best physio I've been to in years. Yvonne and team are extremely helpful! I've been visiting Evoker for over a year now and recommend it highly. The team are very supportive and offer practical advice on managing your health, plus great hands on remediation, and the Pilates classes are great fun. Amazing service. Easy access. Friendly staff. Highly recommend. Yvonne is the best physio I've ever had the pleasure of seeing. She's thorough and great attention to detail, she managed to solve an issue in my left knee that has been with me for years. Thanks Yvonne! When it comes to treating sports injuries, Adam is the best in the city. He was recommended to me by a trainer, so you know he’s the best. Matt was fantastic to work with from the first minute. He set out a clear plan for my ankle and within a few months I had achieved my goals.nnThe setup there is A-grade and you feel at home straight away.nnAll of the advice given was spot on and I was immediately seeing improvements, which made the motivation to persist very easy.nnMatt is also extremely personable and into his sports, meaning always plenty to chat about (even if it was League sometimes...)nnThanks for all your help and professionalism guys. Absolutely fantastic and professional service! nnI recently booked an appointment at Evoker after injuring my lower back. When i first saw Tim he performed a thorough assesment and was able to quickly pinpoint underlying cause of my injury. I was in a considerable amount of pain before my visit, and i felt an improvement immediately after the first session. Tim had a clear treatment plan and i knew exactly what to expect every step of the way. nI am now free of pain and back at the gym:)nnThanks Tim! Sean has done a superb job in helping me recover from two injuries (at the same time): a painful tricep strain, which was impacting my golf game and ability to carry out certain day-to-day activities, and the recurrence of a long term ankle ligament issue. I've made huge progress in recovering from both issues after a couple of months. I’ve been really impressed with Sean’s very obvious enthusiasm and diligence, the thorough nature of his treatment, and, most importantly, his honesty. The latter is particularly important to me, having had an unsavoury experience with another physiotherapist who was quite obviously cutting short appointment times and trying to ‘drag out’ the treatment. My gut feel on that situation has been proven correct in comparison to my far more positive experience with Sean. The other thing I’ve noticed with Evoker, in comparison to previous physiotherapists, is the more advanced equipment they have at their disposal. I’ve had access to several different machines/devices during my treatment, including an ice based compression wrap which literally reduced the swelling in my ankle by 50% after a 30 minute treatment, along with an app which allows you to not only log your exercises, but gives you videos to explain technique, and also a platform to communicate with Evoker in between visits. I’ve always been a firm believer that you get what you pay for and I’ve honestly found the experience with Sean and Evoker to be excellent value for money. Highly recommend. Been through several injuries and always go pack to Andrew at Evoker! Professional and highly specialised physios, friendly service, and a modern relaxing space. Highly recommend! It was great experience with evoker. I was facing this excruciating pain in my neck and was unable to sort it out. Tim helped to find the root cause and resolve the problem. Higly recommendable. I am a marathon runner and a competitive cyclist. As with most of us who undertake a lot of sport, I experience injuries from time to time. The team at Evoker play a critical role in helping me to reduce the risk of injury, through pro-active assistance, and to treating injuries that occur in the best way possible so that I can overcome them in a sustainable way that works for the long term (not just a "quick fix"). This was most recently the case, where they helped me to ensure I enjoyed the 2018 New York marathon, after I incurred an injury earlier in the year which could have impacted my ability to take part in that race. The attention to detail that the Evoker team provide and their genuine interest in ensuring my wellbeing make them the "go to Physio of choice" for me, without hesitation. I have been seeing Adam for Physio treatments since he first started in Kent Street and have watched the very successful evolution of Evoker. The high quality of service initially experienced with Adam, now is provided through a range of Evoker quality practitioners. I now highly recommend the “full service “ Evoker treatments to anyone requiring Physio or Pilates. Everyone at Evoker makes you feel like you are visiting a close knit family where they care about you. Convenient location for city workers and a nice space with friendly and professional staff. I haven't had any issues getting appointments at busy times of the day. I'm very happy with the treatment and advice I've received from my physiotherapist Andrew. I don't see any reason to go anywhere else. I cannot recommend Evoker enough. I have had a few sessions with Yvonne for a longstanding knee issue and it's been a completely delightful experience, especially after going thru multiple physiotherapists before workout success. She was able to pinpoint and treat the problem, enabling me to get stronger from the very first session. Having wasted a year with 3 other physios in trying to resolve my issues with joint pain and mobility, Evoker has been a revelation. In less than 2 months working with Yvonne I am largely pain free and have significantly improved my range of motion. Even more importantly, I have added 20 metres to my golf drive! Andrew and the team at Evoker have been awesome to deal with. The environment is always warm and friendly and Andrew has been excellent at diagnosing and treating a couple of injuries for me. He has consistently gone the extra mile. Highly recommend!!! Great service from Sean, would recommend. He has a real passion in what he does and has given great guidance on preventative measures.nnEvoker also utilses the PhysiApp which is very useful and a great resources. Great Physio, really know their stuff especially for Sport related injuries. Can’t recommend them enough! I would highly recommend Evoker, I had been having on and off back issues for a while however time spent with Sean working on my thoracic and putting plans in place to prevent issues moving forward has worked wonders for me. nnVery happy with the service and Sean's guidance. Best physio experience in Sydney! Tim helped me after a motorcycle accident. Great customer service. I have been seeing Yvonne at evoker for the past 2 months now. She has provided me with a range of treatments for my ankle and associated knee problems and has helped me identify the problem back to to ill fitting orthotics. I am now on the road to recovery after more than a year of ankle and knee pain. My pain is now under control and manageable. I am confident there is still further room for improvement with the exercises Yvonne has provided me, to strengthen these areas and improve my mobility.nnI have no hesitation in recommending Yvonne to anyone who is looking for a good local physio. She offers a friendly and professional approach to conventional Physiotherapy, along with other more modern therapies like dry needling, reformer pilates and orthotics etc. Really happy with the treatment I have received from Yvonne at Evoker. She was very quick to treat my initial injury and identify the root cause. It's been a very positive experience and I would happily recommend Yvonne and the Evoker team. Great team and great service that goes way above and beyond. The follow up, exercise guidance and advice and home treatment is way above what you get anywhere else! I would highly recommend Evoker. After years of doing martial arts I have visited many physio’s and I can honestly say this is the best one I have been to. Great service, knowledgeable physios with the latest techniques and equipment. Sean’s treatment and plans are exceptional. Adam is a fantastic physio. He is knowledgeable, friendly and realistic. His treatment on my back injury has been awesome and I've seen significant progress over the last few weeks. Would highly recommend! I’ve been receiving treatment from Sean for the last 5 months and the treatment standard is exceptional. Sean is professional and very responsive and most importantly discusses self management tools, options and treatment plans every time. The facilities are exceptional as well. I came in with a neck strain and quite a lot of referred pain to the head and the team at Evoker had it settled down with in the first two sessions. They explained what was wrong in layman's terms and outlined self management techniques. Highly recommend. 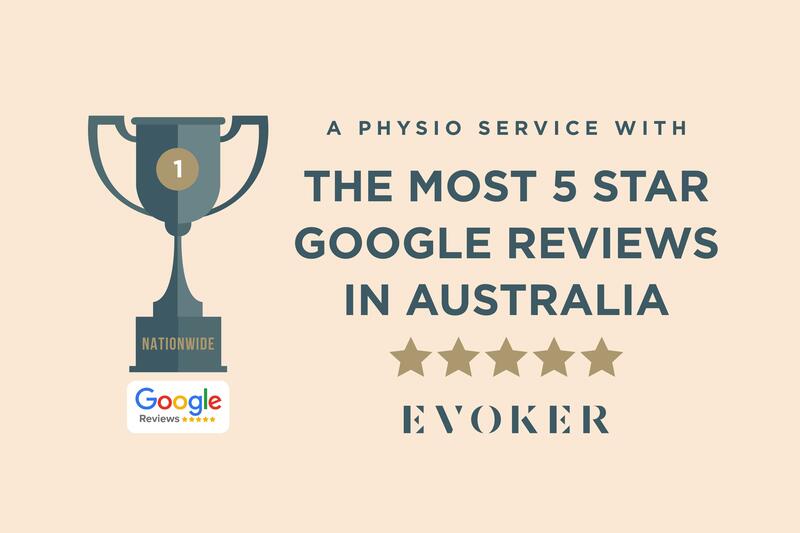 After having little numbness on my hip and my GP recommended me to do physio sessions, I chose Evoker mainly because they are close to my work place and have read so many good reviews about them. Well, they didn't disappoint! I can tell you these guys are amazing, very polite and professional and their place is nice, tidy, clean, and very well equipped. I am seeing Sean and he is a fantastic physiotherapist and a great guy who loves what he does. You cannot find too many people like him (in any profession!) I am feeling much better after just few sessions and will continue using their services. I highly recommend Evoker in general and Sean specifically if you need physio services. After seeing multiple physios across the years for various injuries there is now nowhere else I would go rather than Evoker. Tim was great at communicating what he suspected the problem to be and how to go about solving the issue, additionally Kate on the front desk is very friendly and helpful – Fantastic customer service! Thank you Evoker! I would highly recommend Evoker. nnAfter a myriad of injuries Evoker have slowly been getting me back on track to full strength and performance. I have found their care and attention to detail to be the best I have come across and I will be using them for many years to come. I feel compelled to provide this testimonial due to the exemplary service provided to me by Andrew Robertson.nnAndrew took a methodical and scientific approach to diagnosing my problem, and worked in a systematic manner in addressing the sources of my pain. He then prescribed some exercises and stretches for me to complete between sessions.nnFollowing Andrew’s hands-on approach and advice, I am very pleased to report that both the pain he was treating has completely subsided. What really impressed me was that Andrew did not pressure me to take any further sessions but rather left the door open should any of the symptoms return.nnI have since returned for a different issue and Andrew has once again taken a hands-on, pragmatic and methodical approach to my treatment.nnAndrew will undoubtedly be my physio for life should I suffer from any other similar injuries and I would absolutely recommend him to anyone suffering from musculoskeletal dysfunction . I would highly recommend Evoker! Adam and the team are always great to work with. They are friendly, professional and very knowledgeable. I have visited on and off with various injuries over the past year or so, they listen and help to identify the source of the issue and work with you to get you back on track. After suffering a serious fractured ankle injury that required two operations, Sean and the team at Evoker have enabled me to return to exercise far ahead of schedule. I was informed by others that I wouldn't be recovered until 12 months following the injury however, I am at the 8 month stage and am back running, squatting and 100% pain free. nnThe day of my first appointment when I came in on crutches Sean gave me a structured program and an explanation of what I could expect from my recovery. I explained what I wanted to achieve in terms of recovery and was given a goal I could work towards. I was explained my injury in detail and how we would achieve my goals in easy to understand terms that put me at ease. nnThe combination of technology not available at other physios such as the Game Ready machine and Alter G treadmill (google it) and regular hands on therapy and reviews is a game changer. Sean stayed in regular contact with my surgeon to ensure that my program was in synch with my procedures and this level of care far surpassed my expectations. nnSean, Kate and the team at Evoker set the standard for how a physio should operate. I would never consider going anywhere else and cannot recommend the practice enough. I received treatment for a grade 3 ligament tear of my ankle from Andrew Robertson. nnAndrew is very professional and he has a deep understanding of the injury and treatment plan. Andrew communicates clearly and is very informative - this helped me focus on the road to recovery and management of my expectations about a return to activity. nnVery happy with the service - thank you to the whole team. I would highly recommend Evoker for both results and longevity. As I train and exercise regularly, I do have a few ongoing injuries and have tried many health care professionals in attempts to treat these. nAdam's vast experience and ability to quickly assess and diagnose as well as properly treat the root causes of my injuries was one major point of difference and has meant that I am still able to perform at my peak. I would highly recommend Evoker. As a dancer I have a few ongoing injuries and have tried many health care professionals to try and treat these. Adam's vast experience and ability to assess, diagnose and treat the root causes of my injuries has meant that I am still able to perform at my peak. Could not recommend the staff highly enough not only for their professionalism but also their friendly and positive vibes. The space is calling while upbeat and a very relaxing atmosphere.n10/10 would recommend. Can definitely recommend Matt at Evoker. Matt took the time to understand the issue and was knowledgeable and effective in his methods to get me back on the field as quickly and safely as possible! Andrew is a great physio - definitely recommend him and Evoker! I was suffering from a stiff neck for months; it was getting progressively worse each week and massage treatments were only offering temporary relief. I went to see Adam at Evoker, from my first visit I knew I was in good hands. He was extremely professional and his experience of working with injuries and pain was obvious. I would highly recommend Evoker if you are looking at getting results. Clean premises and convenient location. I was suffering from a stiff neck for months; it was getting progressively worse each week and massage treatments were only offering temporary relief. I went to see Adam at Evoker, from my first visit I knew I was in good hands. He was extremely professional and his experience of working with injuries and pain was obvious. I would highly recommend Evoker if you are looking at getting results. Facilities are also immaculate! I highly recommend Evoker to anyone that requires physio, especially with a sports injury. I have been going to Evoker for four years with back to back soccer injuries (particularly the ankles and knee). The staff are professional, friendly and very informative. My recovery experience has also been quick due to the level of attention and support provided. The incredible people of Evoker have been my saving grace in facing a debilitating back problem, thanks to Evoker I am able to return to my normal life.nnIn October 2017 I suffered a severe back injury which left me with 5 bulging discs. At the time I had no clue what I was dealing with and attempted to carry on, this made the problem far worse than I could imagine, destroying my quality of life for the next 9 months, unable to sit, stand or lay down without facing agony. What followed was several months of doctors, xrays and chiropractors, all of which served only to tell me that I was in a bad way. I was considering surgery just to alleviate the ceaseless pain.nnI was attracted to Evoker by their professionalism and the quality of treatment they offer, truly a premium service at a regular man's price tag. Once I started with Sean, he was my coach and guide every step of the way. Without Evoker I would not have recovered to the point where I can enjoy my life again, and to have learned enough about my body to make informed decisions to prevent future issues has been incredibly valuable. nnNow that I am back to playing basketball, when I injured my ankle, Evoker was the first place I turned (after an x-ray confirming no fractures). Kate, Sean and Andrew have looked after me every step of the way for both injuries, with absolutely expert knowledge, a wide arsenal of techniques and treatments as well as cutting edge technology. nnEvoker are truly unbeatable and have earned my wholehearted trust. With friendly, knowledgable and welcoming staff, plus great facilities, I thoroughly recommend Evoker. nnI've been seeing Andrew for various sports injuries for the last 18 months or so. He takes the time to fully assess and analyse the problem and provide a thorough treatment and rehab path nthat gets you back onto the field, taking particular care in listening to and explaining how to overcome the inevitable challenges along the way, all in a down-to-earth, nprofessional and cheerful manner. Great team that have been very supportive to me over the years, solving too many problems to mention. Highly recommend Evoker. Would highly recommend Evoker to anyone needing a top class physio.nnAfter years of hamstring issues I decided to visit Evoker after a colleague's recommendation and I'm very glad I did. Andrew's treatment and strengthening plan were excellent to improve my hamstring's performance.nnAfter just 3 months since my first visit I was able to beat my goal time for the Sydney marathon by 30 minutes. I would not have been able to achieve that without the Evoker team! I decided to try Evoker when I was struggling to overcome a persistent running injury that was beginning to affect my day to day activities. Sean was able to guide me down a path that not only led to me feeling recovered, it led to me feeling stronger and more confident than before. The team at Evoker are highly professional and knowledgeable!nnI've seen Andrew for back and hip pain which has limited me in my day-to-day life. nBut after a few months of treatment and guidance from Andrew I am almost pain free, and I can't thank him enough for this. nnAll other staff I dealt with at Evoker are amazing too, especially Kate in the reception, and I would highly recommend them. Beautiful new location in Martin place. The Alter G (anti-gravity treadmill) has been an absolute lifesaver during my ACL/MCL recovery. It’s allowed me to get back into running sooner and gradually build up my ability and confidence. Can't recommend it enough!! I’ve seen Andrew for a number of separate injuries over the last two months. After taking his advice, surviving the massage therapy and implementing the exercise rehab, I’m nearing full recovery. Highly recommend Andrew as a knowledgeable trustworthy physio in the CBD. I can't begin to describe the excitement when you suddenly realise you are pain free. In a very short time, Matt has managed to turn a year-long injury around, leaving me free to run up and down stairs as often as I like. And they said surgery was the only option - Ha! I booked in to see Sean for a troublesome hip injury that had flared up from basketball. Not only did Sean help nullify the pain immediately, he has me doing exercises to prevent the injury from reoccurring. I could not recommend Sean and the team at Evoker enough for their professionalism and results. Thank you to the team at Evoker! 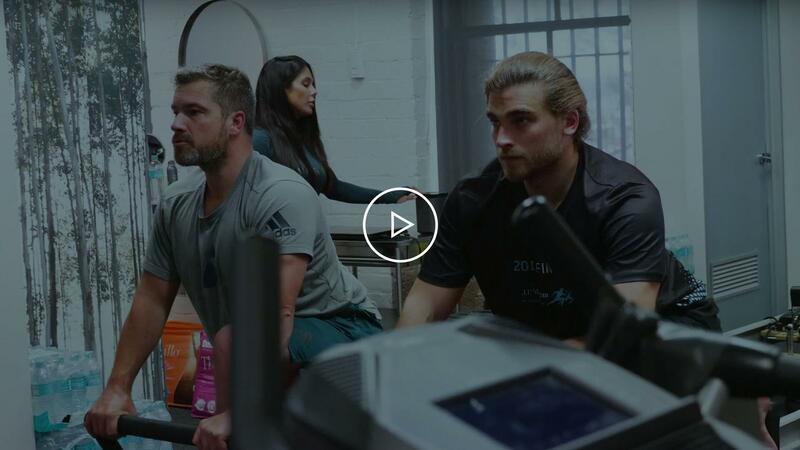 Great physios and simple explanations which have helped me understand the problem and the treatment plan, and access to the alter g which has helped me get back to running as quick as possible. Matt was amazing. I was in agony after my back had gone into spasm and he fixed it. The facilities are also fantastic and it is nice to be in a private room, unlike other places where it is only divided by curtains. Highly recommend visiting evoker and being treated by Matt. Highly professional and friendly team as well as great facilities. Friendly and knowledgeable staff, great facilities. My experience with Sean Wickens at Evoker has been excellent. Sean was an absolute champion. Was extremely understanding and easy to work with. He wasn't the typical physio/provider, by telling you to just sit and rest. nnHe was extremely proactive and catered for your needs. He was extremely excellent at educating you on post treatment strategies to assist with return to health.nnStrongly recommend! I've had nothing but a great experience from the moment I stepped into the studio. In particular, Adam has communicated exceptionally well throughout the treatment so I've never been left uncertain or confused about the process. Improvement in my neck injury was immediate and Adam's treatment has definitely set me with better habits for the future. If you are looking for a physiotherapist that goes the extra mile to ensure that you recover completely and quickly, I would highly recommend Adam Monteith. Adam listens, provides out of hours support and will squeeze you in when you urgently need to see him. He seeks to address environmental factors that may by exacerbating your pain and provides aids to help you with the healing process. Location is extremely convenient and facilities are modern and inviting. Pilates facilities are also great. Julia Bruce is a great instructor who caters for your specific needs. Would not hesitate to recommend to family and friends! Always treated me with skill and professionalism. Evoker have helped me successfully recover from a couple of major surgeries and injuries. The team and environment is extraordinary, I highly rate the professionalism and experience you receive when you visit Evoker. I recently visited Evoker on a business trip to Sydney, where I was fortunate enough to experience their new Anti Gravity Treadmill. This state of the art machine was definitely 'next level' in comparison to any other running machine that I have previously experienced. As always the customer service was second to none and the new look and feel of the Martin Place practice was extremely impressive.. The Alter G Anti-Gravity treadmill is AMAZING! A miracle for ex-runners!nnI've been visiting Evoker at Martin Place for a flare up of my sports related knee injuries over the past few weeks. After a few hours with Adam, my knees feel brand new. nnUnderstanding that I used to be an avid runner, running 10K+ a day prior to the injuries, Adam suggested that I try the Alter G anti-gravity treadmill which Evoker have at their practice in Martin Place. This amazing piece of technology allowed me to run for 30mins pain free, by removing 20-30% of my body weight. I was genuinely shocked and amazed at how much of a difference the Alter G made to my knee pain, and I urge anyone who has given up their running-passion due to knee pain to try it. nnI can’t recommend this practice enough. As well as Adam being the best physio I’ve ever visited, all of the staff are extremely polite and friendly. Meet Matt at his Martin place clinic and highly recommend him.nnHe is polite , explains very clearly and was very spot on with the assessment and what needs to be done to fix it and what we need to do to prevent re-occurrence.nnWith his treatment , I haven't had that pain in last 4 months.nnHe knows his stuff and is very well prepared. I try to run at least 4 to 5 times each week and I am not exactly what you could call light on my feet so stepping into Evoker's Martin Place suite and seeing their Alter G taking pride of place was very pleasing to my eyes (and legs!). nnRunning with a reduction in your body weight is great for post "A" race recovery and well worth a blast if you can get down there. I was a bit of a sceptic about these machines, thinking them to be nothing more than a gimmick, but after a session on it I am well and truly converted and I will look to include a number of sessions on one of these in the build up to a race (to keep cadence up but impact down) and recovery after a race (to take the weight off, literally! ).nnThe treatment suite is clean and well presented with a personal and intimate feeling to the area. The treatment rooms offer an excellent level of privacy and the location is perfect for any CBD workers close to Martin Place or even if you pass through Martin Place station as part of your commute. I love the new space guys, a cracking location smack bang in the middle of the CBD. The new fit-out is definitely breaking the norms of the usual clinical feel I would expect at most Physio clinics. It's inviting, warm and multi-functional everything from coffee machine to an Alter-g Treadmill.nnI have worked with Adam and the team for over 5 years with injury and to improve running efficiency etc. You have really taken it to the next level and its brilliant. nI was lucky enough to use your Alter-G treadmill and that was awesome, I will be back again soon to use this delight (and for a biomechanics tune-up). nCheers guys. I love the new space you have created. I visited the Martin Place studio for the first time this week and was so impressed at the job Adam and the team have done with the fit out. The space feels nothing like the "hospital ward" effect you get with other physios. It is well laid out, spacious, private rooms, beautiful design and matches the premium physio services provided by Evoker. I found the Alter G anti-gravity tread mill really helped and feel lucky to have the ability to access this service through my physiotherapist. Great job guys! I have a chronic TMJ issue that has caused me grief for the past 5 years. It wasn't until I started coming to see Adam at Evoker that I finally got relief and started to overcome some of the debilitating side effects of the condition. Thanks Evoker! I was suffering from neck and back pain for years, until finally I decided to see a specialist. nMy experience with Sean Wickens at Evoker is excellent. He has reduced the pain almost totally, and increased my neck mobility to a level I did not remember I had. Now I am getting closer to who I was years ago. Always a friendly atmosphere but extremely professional environment. I have been getting help because of an ankle issue and the help that I’ve been receiving has been outstanding and crucial for my progress. Couldn’t recommend this place any more. The Evoker team are fantastic! Their customer service is outstanding and the staff are knowledgeable, professional and very friendly. By far the best physio I have ever used. Adam, Andrew, Kate and the team at Evoker have been fantastic in supporting me through my rehab from several injuries I have sustained over the years. Highly recommend! I've had Runner's Knee for the past 2 years. No surgeon, specialist, sports doctor or physio could help. Adam and Matt at Evoker are the only ones to promise me progress and actually have my pain lessen over time, something no one else was able to do. If you have any pain and require a physio, I will always recommend this place. Extremely professional, friendly staff and great facilities. I have had 6 months of groin pain which lead to an operation. Evoker have put a comprehensive plan together with the inclusion of Pilates for a return to sport in 6 months. Highly recommend! Highly recommend Matt at Evoker for a physio in the CBD. I was quickly diagnosed and could feel a difference after the first session. Will definitely come back here if I ever need more treatment. A few months ago I had an arthroscopy key hole surgery. Sometimes cutting things out of your body isn't going to entirely fix the problem. Rehab with Evoker has been a massive education for me and in hindsight I would have seen them before choosing to go under the knife. Andrew at Evoker helped me recover and also explained the whole process, including the surgery, to me in a way that I could understand. Using state of the art equipment, including an ice compressor that reduced swelling quickly, and up-to-date professional advice I believe my recovery was amplified. I hobbled in on crutches to my first treatment feeling pretty deflated and in pain and was weight bearing immediately after. Andrew also designed a recovery plan for me that has seen me steadily improve and gain confidence. Their focus is not trying to get you in as a patient for eternity, but to get you on the road to recovery fast so that you don't need them anymore. I can't thank Adam, Andrew and the team at Evoker enough for all their hard work and support. Thank you! I have always had a really positive experience with the physio team at Evoker. The clinic at Martin Place is really impressive and they are all very knowledgable when it comes to my ongoing back pain. Adam is always very helpful, listens to me and has sorted my aches and pains better than anyone else in the city! Would highly recommend them. I am a competitive marathon runner and a cyclist, plus I play other sports. I typically run 2-3 marathons a year plus half-marathons, with 2700-3000 kilometers overall, and I do a lot of road cycling including events in Aus and Europe. Like everyone, sometimes I pick up injuries. Each time I incur an injury, I go directly to Evoker for treatment and help on recovery (which I have done for several years). Why? I have complete confidence (built up over time) that Adam and the team at Evoker know how to not only get me onto the road to sustainable recovery, but to do so in a way that helps me to get stronger, which then improves my sports performance. I also appreciate how the team at Evoker are always looking for continuous improvement in what they do. This is, for me, a valuable service which I hold in very high regard. They are definitely my "go to" Physio of choice. Strongly recommend for anyone in need of a physio in Sydney CBD. You should expect good massage from any physio, and that's spot-on here, but Adam's great at explaining the mechanics of the physio treatment your receiving in lay language - what the problem is, what the plan will be to fix it, and why that plan will work. Real focus on partnership between physio and patient - it's as much about the work you do at home in between sessions and Adam's great at planning and motivating your homework! Great bloke too, makes the whole process enjoyable, and the new Martin Place digs are pretty flash! I originally came to Evoker to get a second opinion regarding a hip joint issue that other physiotherapists had told me was untreatable or required surgery. Adam quickly identified an underlying muscle related problem and over time we were able to improve the mobility of the hip much more than I previously thought possible. Super happy with the service and results - highly recommended. Knowledgable and very very helpful. Rick from Evoker has been great help for both my dad and I while we were traveling in Sydney. Highly recommended. Highly recommend this place, professional staff who take their time to understand the issue. Overall a great experience at Evoker. From appointment notifications to treatments, Andrew was quick to identify and rectify issues with my knee. Highly recommended! Great & professional service. Andrew R. was quickly able to correctly diagnose me with an issue I've had for > 3years. Andrew patiently listened to my needs and worked with me in <10 sessions to get my elbow to a very manageable position. This enabled me to continue with my daily routine as normal - but pain free and with easy hints on how to self manage going forward. I would highly recommend this place. I have nothing but positive comments for the staff at Evoker. I felt immediately welcomed and looked after by Kate and Andrew. Andrew made sure I understood exactly what was causing the problem, what my next steps were to progress and how to prevent it in the future.nnWithin a very short time period I have become pain free in my back for the first time in 4 or 5 years and it is entirely due to their service.nnI couldn't recommend them enough to anyone who is even considering seeing a physio. Excellent practice: responsive, helpful, thoughtful. Sean very quickly got to a prognosis for my lower back pain, helping relieve some of the pain initially but importantly educated me on what was happening, and how to eliminate & prevent going forward. Thank you - very much appreciated, it is the day after and I already feel so much better. Have been a client of Adam's on and off for several years after various injuries. Adam is professional experienced and knowledgeable. Adam takes time to understand your issues before explaining the likely causes in layman's terms. He then comes up with an easy to follow treatment plan. Most appointments are on schedule but if not you receive a phone call from Kate advising of any delays to assist managing your time on the day. I highly recommend Adam and his team. I attended Evoker with a hip issue prior to trekking the Kokoda Trail. Rick Kang assessed the issue very quickly, and set in a motion a successful program including referral to a hip specialist. The treatment, reassurance and general professionalism helped me get comfortable to fast trek the trail. Thanks. I am so thankful for the care and professionalism of Evoker. Richard Kang helped me immensely after I had torn my calf muscle whilst dancing. I am now back being active and dancing! Thank you so much! I have had issues with my plantar fascia for a good couple of weeks, and Rick Kang has been great at dealing, treating and providing rehab treatments throughout. The whole team at Evoker in general have been very professional and accommodating, and without a doubt, I would highly recommend them. I spent the better part of 3 months this year with Rick Kang at Evoker for a ligament injury & cannot rate him as a physio and the team at Evoker highly enough. I am so glad I went to see them, you can tell they love what they do. Thanks for all your help guys! I started seeing Adam at Evoker because their rooms are conveniently located close to where I used to work. I'm now working elsewhere but I travel an hour for my appointments because Adam and the team are professional, knowledgable, thorough, and genuinely care for their clients. I highly recommend Adam and the team at Evoker. Over the past 6 years I have had 3 shoulder reconstructions, which is due to wear and tear of being a professional dancer and acrobat. On all 3 surgeries Adam has treated me pre-op, post op and throughout my rehabilitation to get me back to an elite performance level. (I should mention all 3 surgeries and rehabilitation have been successful, other issues have cropped up which is why multiple surgeries have been required)nWhen first approaching my surgical and physiotherapy options, I did so with immense research as I was demanding a high level result. I needed both surgeon and physiotherapist to be on the same page and in-touch to dual manage my recovery. Adam welcomed this approach and treated my recovery as a partnership between us. nAdam is clear, concise and explains the physiological and biomechanical function in laymen's terms, but also in terms of practical daily function. I am hoping not to make reconstructive surgery routine however should another be in my future, I will only be going to Evoker. My shoulders are stronger and more stable than they have ever been pre-surgery, which is a direct result to Adam's skill, committment and talent as a physiotherapist. Without a doubt one of the best teams in town. I visited once with one issue, I was looked after by Adam - man of great knowledge! On another occasion Andrew looked after me - really nice guy who resolved my issues in no time. The entire team is so easy to deal with, thank you! I’ve been seeing Adam on and off for 15 months and I have been attending Monique Pilates sessions for about 1 year. Between both of them, my back issues have improved significantly. Monique’ Pilates classes are the best I’ve ever attended; they are a decent workout and I feel stronger with each class. I have had an amazing experience at Evoker. Having recently torn my ACL, I was visiting a clinic close to home. Not feeling I was getting the treatment I needed to get me back on track, I made the switch to Evoker. Rick has helped me tremendously and I realised how little the treatment I had prior to him was doing to help me out. I was behind in recovery but thanks to him I am exactly where I should be. Cant say enough good things and I look forward to continuing my recovery with Evoker. My family and I have Adam clients for almost 10 years. We all agree that he is absolutely the best! I sometimes try alternative options ( if I am working in other parts of Sydney) but ultimately I always come back as there is no substitute for quality. After 12 months of putting up with persistent neck and upper back pain, I came back to see Adam who I saw when I was based in the city. nnMy movement was poor, painful and I had headaches regularly. After only 2 consults I have gained back most of my rotation, have minimal to no pain and we have a plan in place to minimise the issue returning. I've been coming to Monteithh Physio (Now Evoker) for just over 2 years, Adam and his team have been nothing short of professional, and have worked tirelessly to keep me running. Adam came recommended when I had an immobile shoulder after a heavy fall skateboarding. He made progress from day 1 and I was back surfing in a couple of months. Top physio! I had a great experience with Evoker. I would highly recommend it.nAdam is a very professional and knowledgeable physio. Knocks spots off other physios I have tried. Very happy to recommend Evoker as a service where you’re not a number and they spend hands on time working on your injury not just turning over patients. I've had great results from the work Adam from Evoker has done on my right ankle. It had been troubling me for years and my wife only reminded me the other day that it was no longer an issue. I couldn't be happier with the service and especially the fact that they are always on time. I have been seeing Adam and the team for many years, I have always found them to be very professional and friendly. Initial treatment was for rehab following a shoulder reconstruction, since then Adam has been there for the treatment and rehab of other injuries including an ACL reconstruction. I have trust in the team at Evoker, which is essential in sticking to the recovery plan (sometimes very long and slow). Having seen many other physios over the years, I would not go anywhere else. I first walked into see Adam Monteith over eight years ago in Sydney, and up till that point had not found a Physiotherapist that was able to pinpoint the exact problem with my ongoing back pain. Through remedial massage treatment, trigger point release, taping and postural alignment I was able to ameliorate the underlying cause, to drastically reduce my pain and discomfort. Although I am small, I am seen as a patient that requires a lot of work, and his considerable strength made the more challenging necessary thoracic spine manipulation possible. I continued to see Adam whilst living in Sydney for tune-ups, and since moving overseas will try to get into see him after a long flight home. nnSince becoming a health professional myself, and being immersed in the rehabilitation space, I have even more respect for what Adam was able to do for me back in Sydney, as not all therapists are of the same standard by any means. I only wish I had a Physiotherapist of Adam's calibre here in London to treat the various injuries I incur during Strongwoman and Olympic Lifting competitions. nnAdam is not only a skillful practitioner, he also has a wonderful bedside manner, he is professional, kind, caring and explains in plain terms what he believes is your issue and how he intends to work to resolve your therapeutic problems, and map out the plan of your rehabilitation into the future.nnI know Adam will continue to be successful with his business in Sydney due to his professionalism and superior skills, and I look forward to seeing him on my next fly-in visit for a check-in. The Evoker team are the best I've seen - friendly, professional, and I completely trust them with my sporting injuries and ongoing Physio maintenance needs. They listen and map out a clear plan of action to get me back out there. A friend referred me number of years ago and I've never looked back. Without hesitation I suggest you do yourself a favour and go see the team at Evoker! 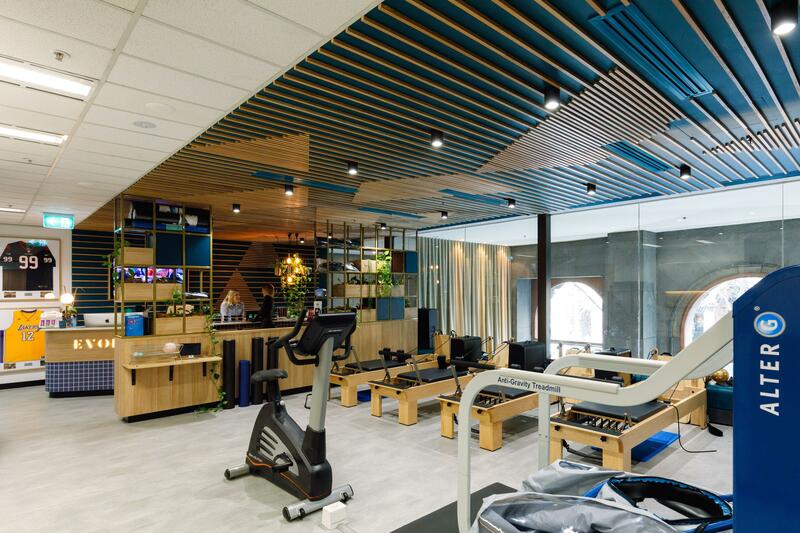 I discovered Evoker Premium Physiotherapy when my company moved to the Barangaroo precinct and I was searching for a one on one Pilates instructor. I have since seen the team there for a number of different Physio needs and I cannot fault their professionalism and friendliness - it makes a difference when they all know you by name and have a genuine interest in your wellbeing. I am now also a regular at their Pilates reforming class with a max 4 people in each session. I would highly recommend Adam & his experienced team for all your Physio & or Pilates needs. Adam is great. A true professional.nnI've been visiting Adam and the team for over 3 years now. nnAfter Physio sessions on my elbow and knee, I'm pain free. nnThanks Adam. Adam and his team at Evoker are amazing! I have been a client of them for over 3 years and wouldn't go anywhere else! They really care about helping you get back on track and they ensure you are educated on what's happening each step of the way!! Go see Adam and his team you won't regret it!!! Very friendly team and Adam at Monteith Physio was great, and very patient with my determination to exercise through my injury, giving me options to help me accommodate my recovery. Adam and his team were fantastic at finding out what the cause of my injury was and treating it effectively with a combination of home based exercises and visits. Adams focus is to get you back to what you were doing again as quickly as possible. I also now do a weekly Pilates with them which i can also recommend. Excellent physio in the City. Always 5 star service from Kate. I'm 25 suffered from a couple of minor sporting injuries and Adam and Monique have sent me on my way to recovery. The team at Evoker Physiotherapy have worked closely with me over the past 18 months, overcoming a lumber Discectomy op and getting back to fitness, Now they work with me to maintain and improve my fitness levels through attending Pilates twice a week which is a must for anyone who needs to get fit whilst being careful of old injuries. The clinical Pilates classes are awesome. Monique is amazing, and Kate manages an excellent front desk - always polite and helpful. Adam and the team at Monteith Physio are top class physiotherapists. They are very experienced and their hands on techniques get results.nI have seen Adam dozens of time for injuries sustained playing Soccer and Adam gets to the root cause of injuries very quickly and always gives an accurate estimated recovery time.nI have referred Adam to friends and colleagues who are all very happy with his service. Adam Monteith fixed my ITB injury and a couple of years later fixed my slipped discs injury . Amazingly friendly, caring team who will heal your injuries and give you sustainable management techniques. I have seen Rick about a few injuries that I have picked up playing sport. He is very professional - focusses his treatment around getting you back to sport as quickly as possible . One thing that I love is that he provides great face to face care but then does a lot of follow up with email once the acute phase of the injury is treated. This approach tries to minimise the amount of time you need to come to centre saving you time and money. I saw Adam and Rick at Monteith Physio after I sprained my ankle for the second time in as many months. Their professionalism and care was outstanding and I have fully recovered without repeat injury. Highly recommend this clinic, it's especially convenient for lunch time appointments if you work in the city. I can't speak more highly of Adam "the ankle whisperer" Monteith. He is caring, kind, professional and up to the second with the latest training and techniques. Had me back up and running in a safe and most importantly, sustainable time. After months of pain from hip bursitis which left me unable to run at all, Adam was able to almost completely eradicate the pain in 4 sessions. I highly recommend the clinic esp. to those based in the city.. so easy to duck out on my lunch break. Nespresso machine and good mags while you wait doesn't hurt either!! Adam was brilliant, really friendly, understanding of my goals and knowledgeable to get me back to running asap! Would definitely recommend. Awesome team and convenient location! Rick was great and helped me recover from injury both during the appointment, and answered any questions I had via email. Adam Monteith is the best physio that I have seen and I've seen a lot of physios! Adam got me back to running and fixed some very tricky injuries. I have every confidence in Adam's abilities and I have seen him help many friends, family and colleagues. I essentially recommend him to everyone! he's that good. Matthew Sweeney is a great physio that I have been seeing on and off for over a year. His knowledge is great and advice practical for exercises and things I can do to improve that fits to my lifestyle. I've had great results with my neck and shoulders and a reduction in headaches. My posture is also improving. I have recommended a few people to him who have also spoken highly of the treatment received. Also - the receptionist, Kate, is super helpful and polite. I can't speak highly enough of the treatment I received at Monteith Physio. As soon as I walked into the clinic, I was impressed with the facilities and the receptionist was very efficient and professional! I was treated by both Adam and Monique and felt much better within the planned 6 week program they started me on. I am now continuing with their advice and pain free so very very happy! Thank you guys!! I started seeing Adam at Monteith Physio 1.5 years ago for rehab following 3 spinal surgeries. I am a competitive runner and have seen my fair share of physio's over the years, but Adam and his team at Monteith Physio really are the best. Adam is extremely thorough in his assessments and always very clearly explains his diagnoses. I am essentially now pain-free in my back thanks to Adam's treatment. I have also seen Monique at Monteith Physio for clinical pilates classes to complement my treatment with Adam and her classes have been the best pilates sessions I have done; very targeted core work. I highly recommend Monteith Physio!! An excellent team - efficient, professional and respectful. Results speak for themselves. Adam is one of the best Physiotherapists that I have ever consulted around the world. Great experience, Adam from Monteith Physio is super knowledgable. I had a rotator cuff injury from swimming which was fixed via a mix of massage & practical/ easy to do exercises. Back in the water in 6 weeks. I have attended Monteith Physio for treatment on a number of injuries - from a sport related hamstring tear, to a niggling back and neck. I've always found the staff there to be not only super professional, but knowledgeable as well. They know their stuff! I've always had good results and never been disappointed. I wouldn't go anywhere else and I tell anyone who asks this is the place to be for treatment of your injuries and sore spots. Adam and his team are the best physiotherapists you could hope to find anywhere in Sydney or beyond. The facilities and approach to injury management are state-of-the-art, and you will always be treated by a physiotherapist who genuinely cares about your recovery and health. I can't recommend Monteith Physio highly enough.